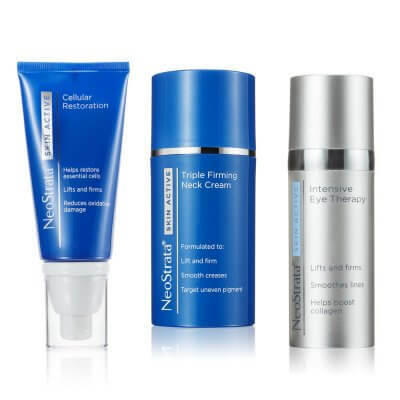 NeoGlucosamine, clinically proven to work with Retinol, helps support natural collagen and its surrounding support matrix to lift and firm the skin while reducing the appearance of wrinkles and fine lines. 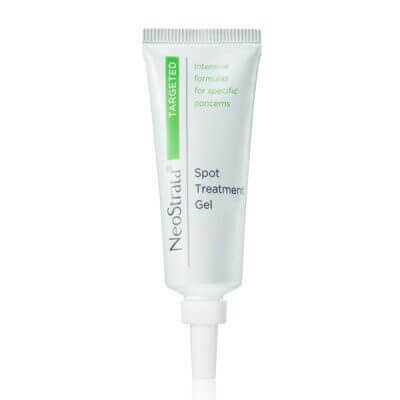 NeoGlucosamine is also a gentle exfoliant that helps reduce the appearance of uneven pigment and age spots. 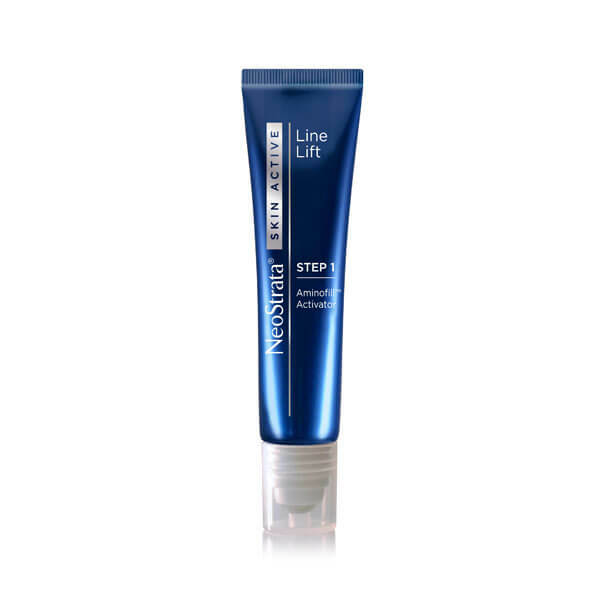 Formulated to lift and firm skin, diminish the appearance of age spots, and smooth lines and wrinkles from the inside out. 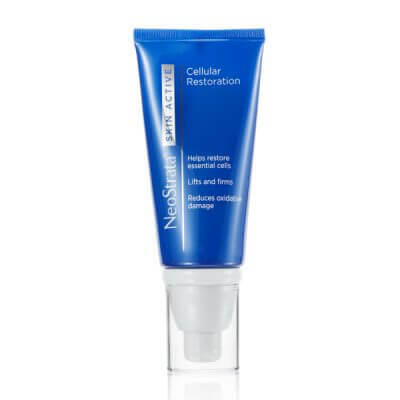 Time-released microencapsulated Retinol maximizes stability while enhancing the tolerability of this potent formulation. Freshness and efficacy of the product are maintained with a Triple Stabilizing Complex and a specially designed airless pump. 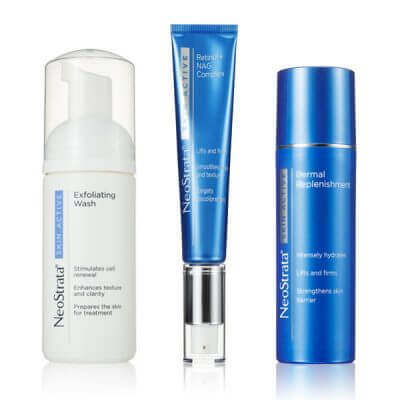 In the evening, apply lightly to clean skin once or twice weekly, working up to every other day or everyday as tolerated. 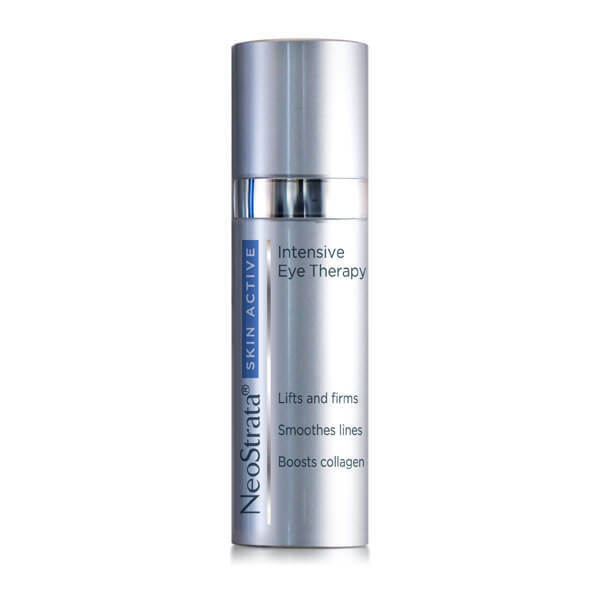 Can be layered under a NeoStrata moisturizer such as Skin Active Dermal Replenishment or Ultra Moisturizing Face Cream. Store this special airless package inverted on its cap with pump facing downward. Dispense product with pump in the downward position. Caution: For external use only. Avoid contact with eyes. If contact occurs, rinse well with water. 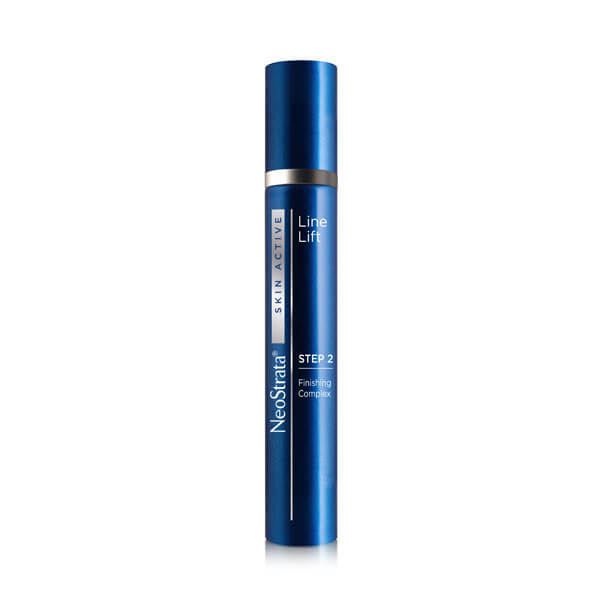 Light peeling, tingling or redness may occur when using this high strength formulation. 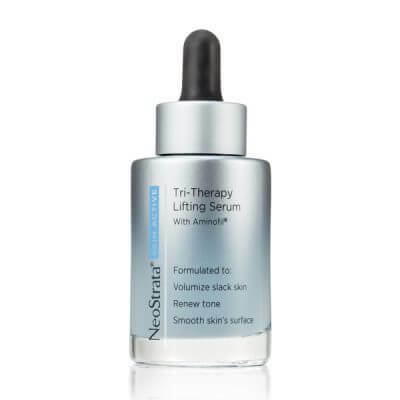 If uncomfortable, reduce usage until skin adjusts. 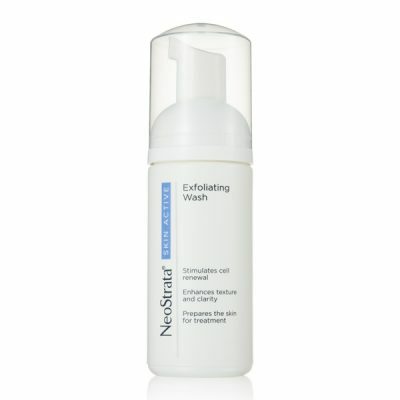 If rash or irritation develops, discontinue use. Do not use if you are pregnant, lactating or planning to become pregnant. Keep out of reach of children. If swallowed, seek medical assistance. 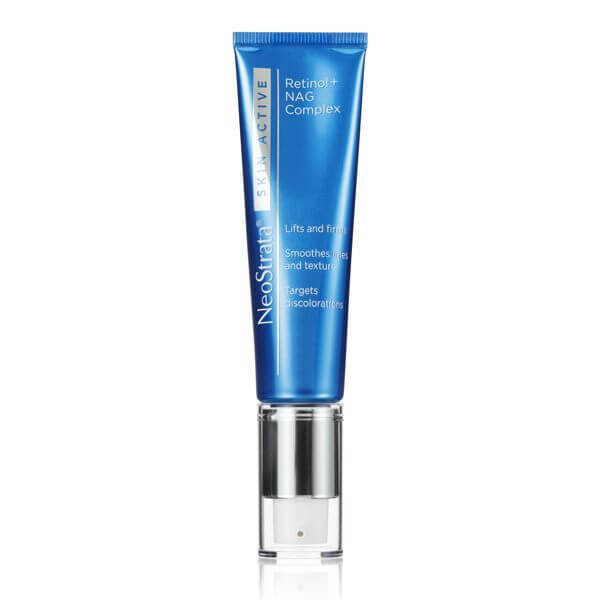 Use a sunscreen and limit sun exposure while using this product. Storage: Store at 15°C-30°C (59°F-86°F). Aqua (Water), Dimethicone, Cyclopentasiloxane, Polysilicone-11, Glycerin, Butyloctyl Salicylate, Acetyl Glucosamine, Silica, Nylon-12, Allyl Methacrylates Crosspolymer, BHT, Tocopheryl (Vitamin E) Acetate, Retinol, Arginine, Bisabolol, Isohexadecane, PEG-10 Dimethicone, Citric Acid, Ammonium Polyacryloyldimethyl Taurate, Polysorbate 20, Caprylyl Glycol, Hydroxyethyl Acrylate/Sodium Acryloyldimethyl Taurate Copolymer, Polysorbate 40, Disodium EDTA, Xanthan Gum, Phenoxyethanol, Chlorphenesin, CI 19140 (Yellow 5).